IMPORTANT NOTE: There are a few cheaper versions of the lock on the market but they are not using the patented curved keyway and they will not be assembled for you specifically to order. 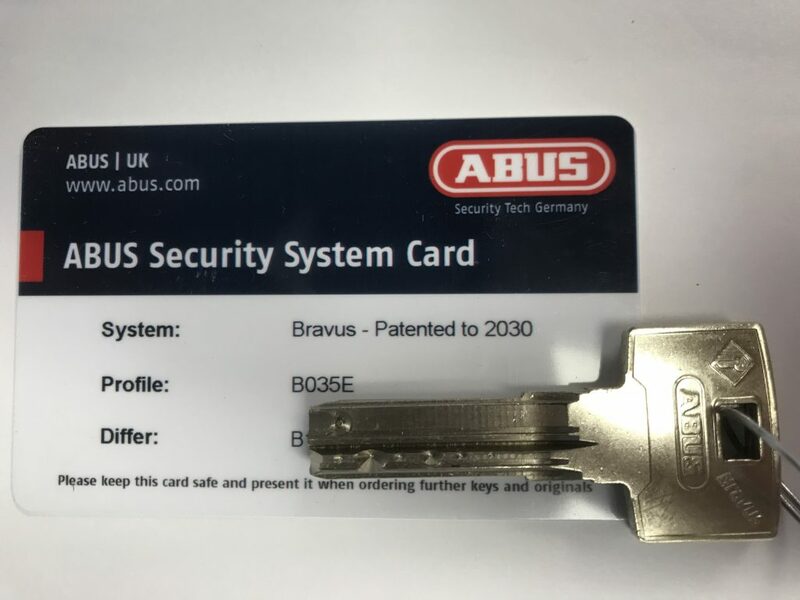 We only do this lock with the restricted Bravus 1000 keyway as we do not see the point is having a CEN6 lock without it. You'll also notice from the image that it is closed shackle which makes it very difficult to cut with bolt croppers. 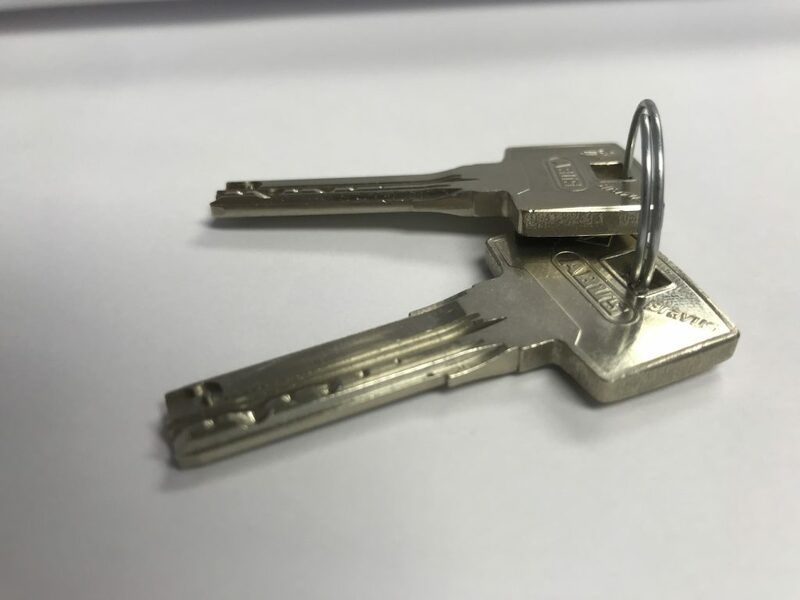 There are two types of closed shackle locks. Standard and 360. This model uses the 360 degree type which means the protective walls go all the way around rather than leaving one corner open which is commonly found on lesser models. The significance of this cannot be understated. If you do manage to cut the shackle, then it still won't open since the shackle is prevented from spinning. You'd need to cut the shackle in two places to remove it from the chain, hasp or gate that it is attached to. This makes it nearly impossible to remove. The shackle is a huge 15mm thick and made from graded hardened steel. Please ensure that whatever you intened to attach the lock to has a hole wide enough to accomodate 15mm. In the case of a chain the hole inbetween the links needs to be 16mm or more. In our case we only do one chain that will fit and that is the 12KS Loop which will match the lock in security. 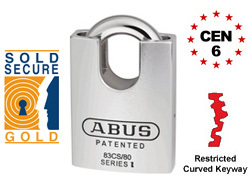 High security padlocks have a dillema that they have to be made from hardened alloy steel in order to be strong enough to withstandard attack and cannot be made from stainless steel which is soft in comparision. The problem is that hardened steel is not rust proof. 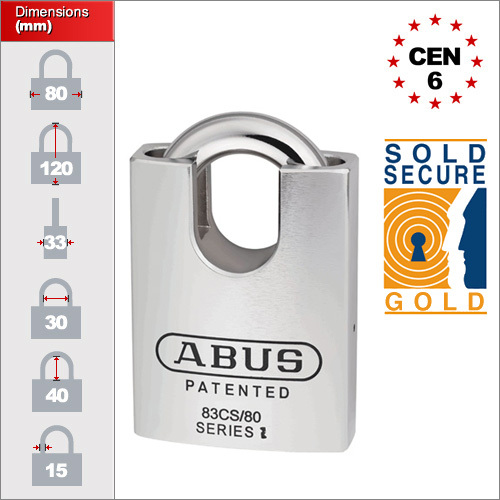 However, ABUS have coated this lock with a new process that is 5 times more effective than traditional coatings such as chrome plating. The new coating is known as NANO Protect. It is similar to chrome plating but doesn't chip off or degrade over time. It makes the steel nearly as resistant as stainless steel. The bottom line is that the lock is perfectly suitable for outdoor use and is regarded as weatherproof.